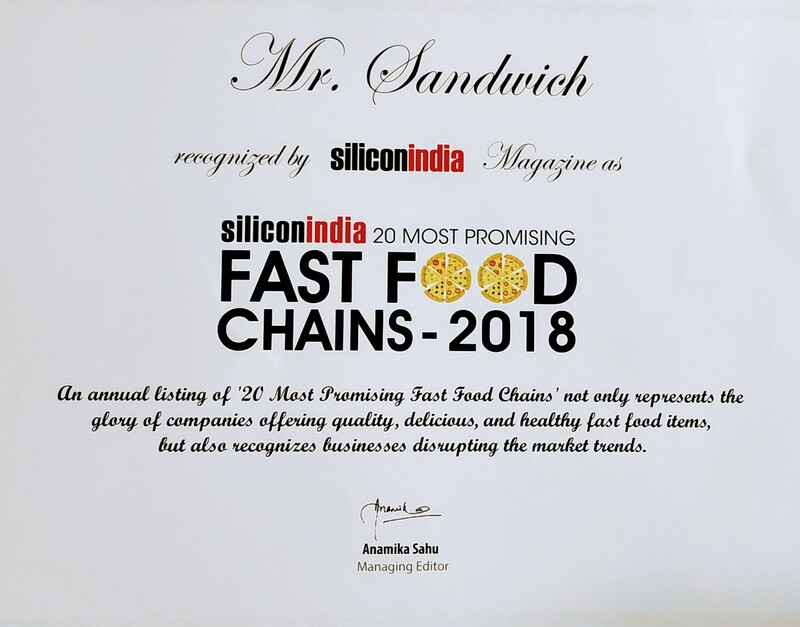 Mr.Sandwich offers high margins and good return on investments with the philosophy that of mutual respectable profit sharing with our partners. We offer an extremely affordable investment option of Rs. 6-14 lakhs only (Plus GST Taxes), for the complete setup of the store with interior and all equipment & machines. Store can be located all across India at high streets, in malls, airports, universities, travel plazas, downtown, urban storefronts and many other locations.